Since the 1st of January 2002, the Euro (EUR) is the currency of Greece. Notes in circulation are 5, 10, 20, 50, 100, 200 and 500 euro while coins come in denominations of 1 euro, 2 euro, 1 cent, 2 cents, 5 cents, 10 cents and 20 cents. Most banks are open 8.00 am-2.30 pm Monday to Thursday and 8.00 am-2.00 pm Friday. ATMs are widely available in Greece. Most accept Visa and MasterCard (you'll pay interest on cash withdrawals) as well as debit cards of internationally recognised networks such as Cirrus and Maestro. The electricity supply in Greece is alternating current, 220 volts, 50 cycles. Appliances for 110 or 120 volts may be operated by using step down transformers of 220 - 250/110 volts connected to each outlet. 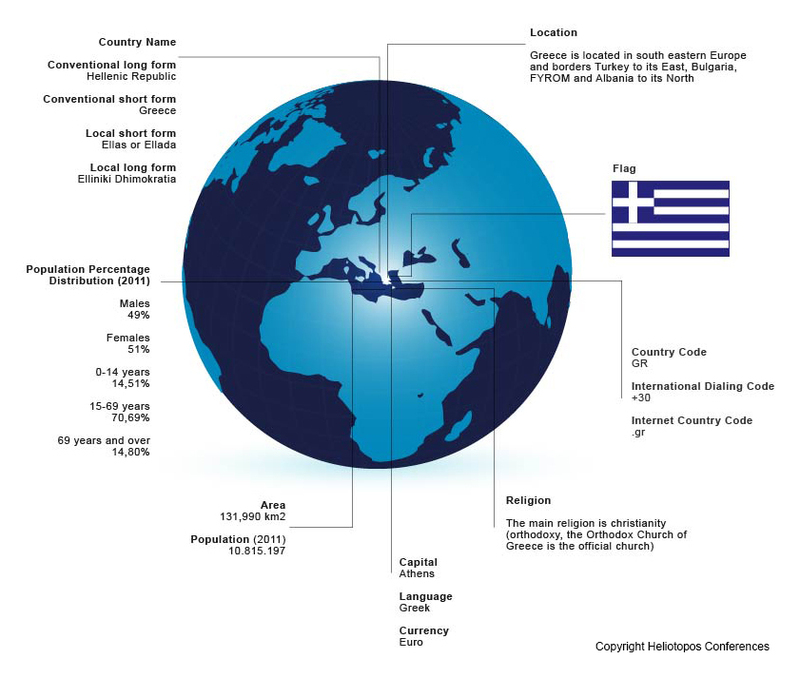 Greece is in the Eastern European Time Zone. Eastern European Standard Time (EET) is 2 hours ahead of Greenwich Mean Time (GMT+2).